You’ve always been told to take your vitamins for the sake of your health. 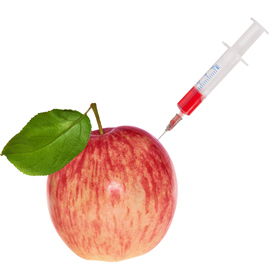 Well, what about injecting those vitamins to improve your weight loss results? That is part of the basic understanding behind fat burning injections. Used as part of a comprehensive medical weight loss program featuring a low calorie diet and regular physical activity, fat burning injections can significantly enhance your ability to lose weight. Fat burning injections are another form of weight loss supplement, and are looked at as a more direct route to introduce nutrients to the body. When you take supplements orally, your body digests those nutrients and they are gradually introduced into your blood stream before being circulated to your muscles. Fat burning injections introduce the supplements directly into your muscles, skipping the prolonged period of circulation and instead giving the body the nutrients it is in need of straight away. When you are given fat burning injections with hCG or vitamin B12, your body can begin experiencing the benefits of the nutrients quickly helping you to keep on track with your diet plan. Of course, the fat burning injects can’t do all the work. Fat burning injections in Ocala are designed to give you a weight loss boost. You will need to follow a low calorie diet and commit to a regular exercise plan. The fat burning injections will help by increasing your energy levels and controlling your appetite so it is easier for you to stick to the diet plan. hCG: These fat burning injections take control of the metabolism, reduce appetite and target problematic areas of fat, like that on the stomach, thighs and buttocks. The hCG injections can help you feel full more often, so it becomes easier to stick to the diet plan accompanying the shots. B12: Vitamin B12 works by transforming stored fat and protein into energy, while also producing more red blood cells, thus improving blood circulation. This makes vitamin B12 able to boost your energy levels while burning fat and increasing your weight loss potential. It’s true that these supplements are often advertised in pill form, which makes many people hesitant to try fat burning injections. However, when you take an oral supplement you run the risk of the much needed nutrients being absorbed incorrectly during the digestion process. Fat burning injections are the best way to get the biggest bang out of your supplements. When you’re ready to give fat burning injections a try, or if you want to learn more about their benefits, contact Dr. Holloway.